Coach Raphael Lima was born in São Paulo-Brazil. He started his swimmer’s life on the one of the best swim teams in Brazil- Esporte Clube Pinheiros- where he competed for more than 10 years. 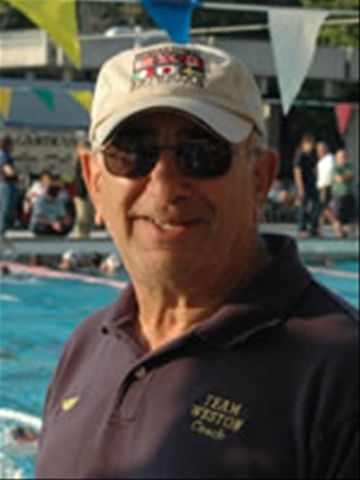 Coach Lima is a former world class swimmer and member of the Brazilian National Team. He participated in numerous Brazilian, South American National and FINA World Championship meets. As a student, he attended UNIFMU Metropolitan University of São Paulo – Brazil where graduated with honors in Physical Education. He completed Post Graduation education in Sports Training and Personal Training at the University of Campinas in Campinas, Brazil. At present he holds a Master’s Degree. As a swim coach and Physical Education Teacher, he worked for UNIFMU Metropolitan University of São Paulo, Divino Salvador High School and Reebok Sports Club in Brazil. He and his wife Fabiana moved to the USA in 2006 and they are expecting their first baby (Raphaela) for March 2008. A. Swimming has been in my life for more than 15 years. I started to swim when I was 11 years old just to have fun. In less than 2 years I was swimming in one of the best swim teams in Brazil. I left my parent’s house when I was 14 years old to live, train and study close to the swim club. That was a very hard time, because I only saw my parents on the weekends. So, I grew up in this environment, achieving a lot of titles as a professional swimmer traveling around the world. When it was time for me to choose what career to follow besides being a swimmer, I had my parents and my coach helping me. It was easy to choose: I graduated in Physical Education at the same University in which my coach was a teacher. Then, I got my Post Graduation and Masters Degree in Sports Training. That’s how I became a swim coach. My environment showed me the way. A. It was when I received an offer to start working with my ex coach from the Brazilian Team. This was a very grateful experience. Q.What was the highest level of swimmer you have coached? A. I coached a lot of swimmers in a specific group that was called National Sprinters Group Level. Q. After being a world class swimmer, how difficult has it been motivating young swimmers? A. Sincerely I don’t find it hard to motivate the young swimmers. When I talk to my swimmers I try to show them the passion I had and that I still have for Swimming. Since I have both experiences, as an athlete and as I coach, I know how the athletes feel and think and I also know what is best for them. Q. What difficulty do you have dealing with parents? A. I’ve had a few tough times with parents. When I face a difficult situation with a parent I try to show him that inside of the pool I know what is the best for his/her son or daughter. I also try to show the parent that outside of the pool I really need his/her cooperation to encourage the swimmer to improve everyday. A. My main goal is to be able to be recognized as one of the best coaches in the world. I also would like to have the chance in the future to coach World Class swimmers just like I was before. Q. What was your most humorist moment in coaching? A. I had many humorist moments as a Coach but the most recent one was in one of the swim meets here in Florida, one of my swimmers was supposed to swim 50 Freestyle. Right after he dived he did two Breaststroke pulls and then he realized that he was doing something totally different. At that moment he started swimming Freestyle. For my surprise he improved 3 seconds… It was very funny! A. The thing I love the most is to see the smile on the swimmer’s face when they reach their goals … I feel like I am the one that is swimming out there breaking my own records. A. I am not sure about that … but there is one thing I know: if I was not a Swim Coach I would never have moved to the USA at all … Not because I was not a coach, but because I would never had met my wife (we first met at the swimming pool) and I wouldn’t be here with her today… nor I would be expecting Raphaela – my little princess – within the next couple weeks.